Rag rugs go way back in Scandinavia, but there’s no reason floor coverings cannot be reinvented. After inheriting Swedish company Bolon, which their grandfather founded, Marie and Annica Eklund subjected the label’s image and products to a radical transformation. Giorgio Armani is one of their biggest fans. The fashion designer was among the first to discover the benefits of the Swedish vinyl flooring for himself and his brand. In the mid-2000s, he used the firm’s products to outfit not just his stores and a hotel but his own house and yacht as well, even choosing Bolon’s woven synthetic flooring as a backdrop for catalogue photos of Armani products. So how do the two go together – Italian elegance and Swedish carpeting, luxury and downto-earthness? 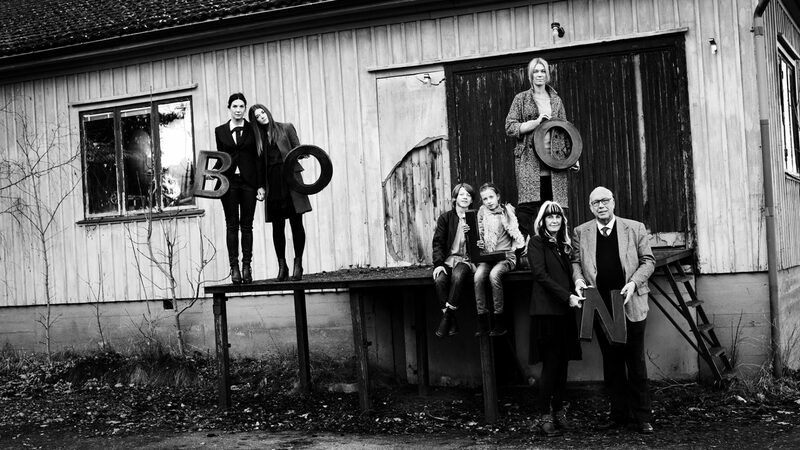 The answer lies in the Eklund family, or to be more precise, in the third generation of Bolon entrepreneurs. 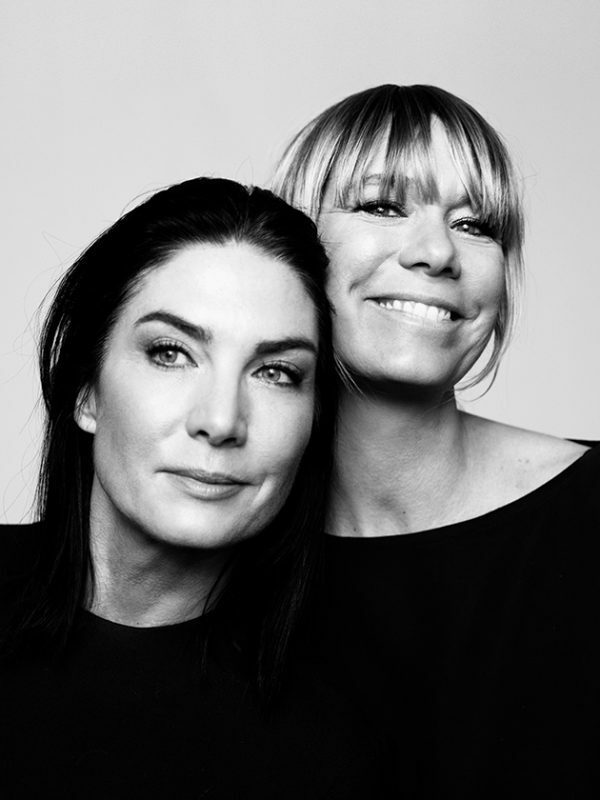 Sisters Annica and Marie Eklund have been running the firm that was founded by their grandfather since 2003. 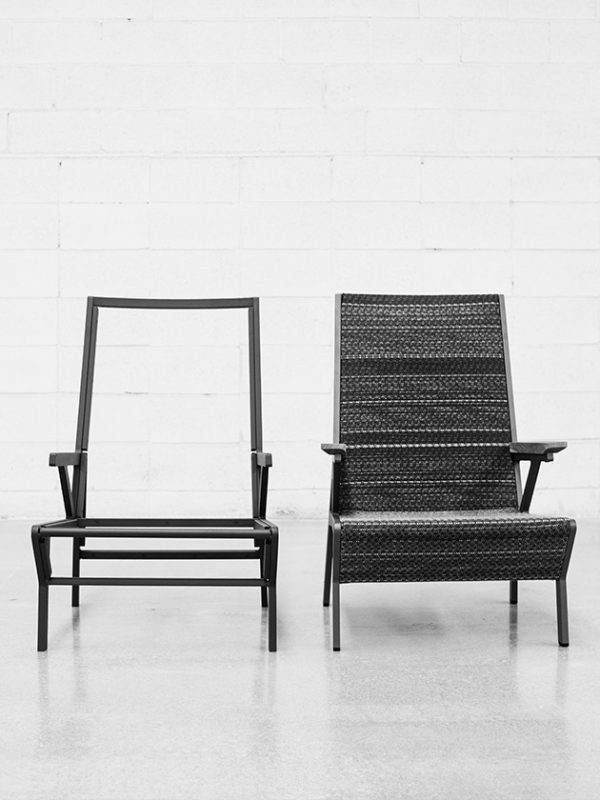 In 1949, together with his business partner, Nils-Erik Eklund had started out with a little weaving company in Stockholm. 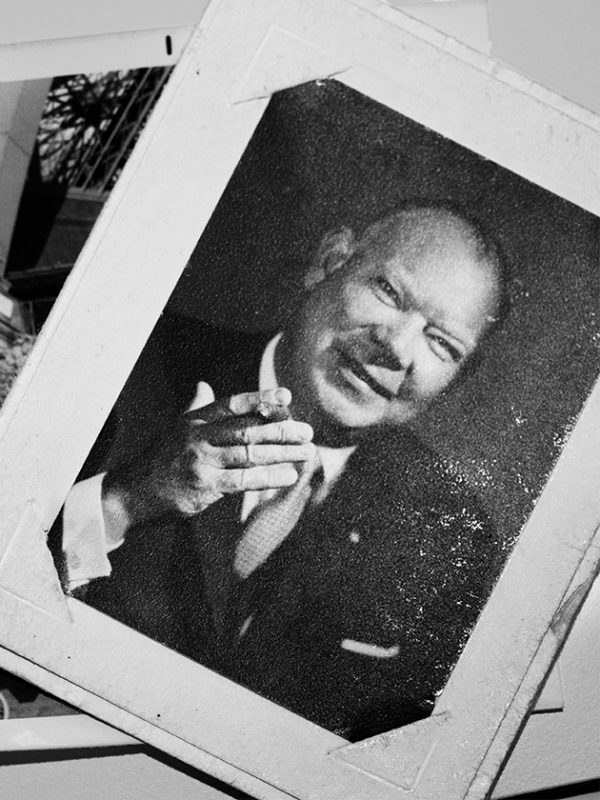 It was the sight of textile waste from a neighboring firm (garbage cans overflowing with strips of brightly colored fabric) that gave him the idea of producing rag rugs – a decision that seems all the more progressive in view of the fact that the postwar economic boom had only just started and nobody had even heard of recycling back then. The company name is a reference to these beginnings: Bolon was coined from the first and last letters of the words bomull (Swedish for cotton) and nylon. 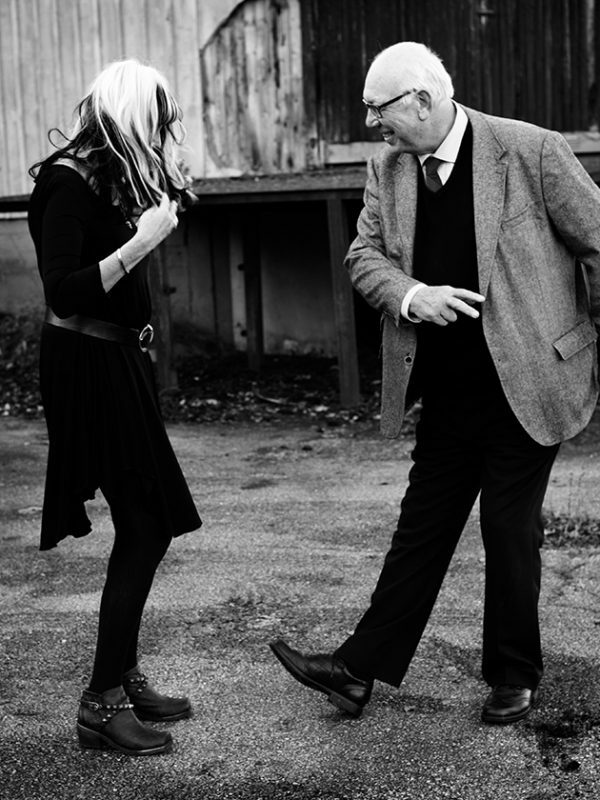 The next generation, the founder’s son Lars Eklund and his wife Monica, took over the helm in the 1960s. The couple loved camping, and it was this private passion that provided the impetus for a very successful range extension: awning mats for campers, inspired by the traditional Scandinavian rag rug, passed through the gates of the Bolon works in their thousands. At the time, daughters Marie and Annica were adamant that they would never join the family business: the two of them found flooring thoroughly boring. But in 2003, everything changed. Marie ended her model career in Italy and Annica her equestrian show jumping days as a member of Sweden’s national team. Bolon was an opportunity for a new beginning. Right from the outset, however, the sisters agreed that they would reposition the brand and ensure the products reflected their personal interests: fashion and design. The discovery that Armani was using Bolon products came as a huge boost. If a creative of his calibre appreciates the qualities of our woven synthetic floor coverings, thought the sisters, there must be potential we can develop. Time has proved them right. 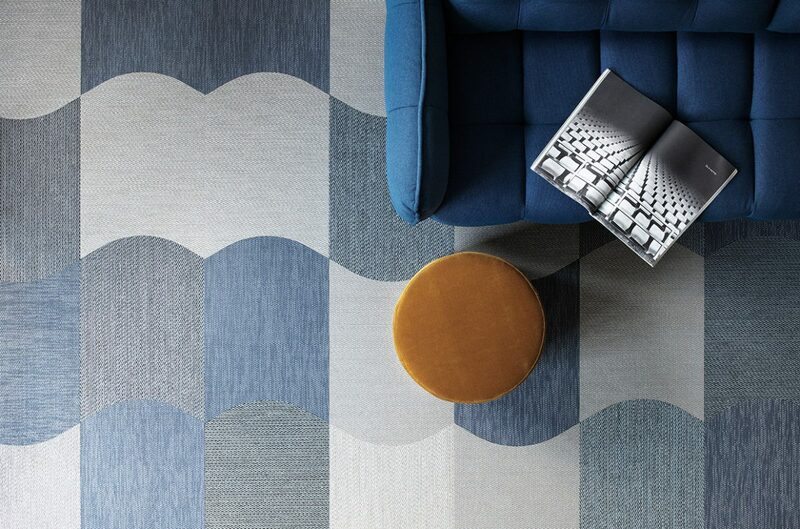 Today Bolon’s flooring products are used by Mercedes and Adidas, Google, Reebok, Hugo Boss and Chanel, as well as in beach clubs in Cannes, the Brenners Park-Hotel in Baden-Baden and on Aida cruise ships. 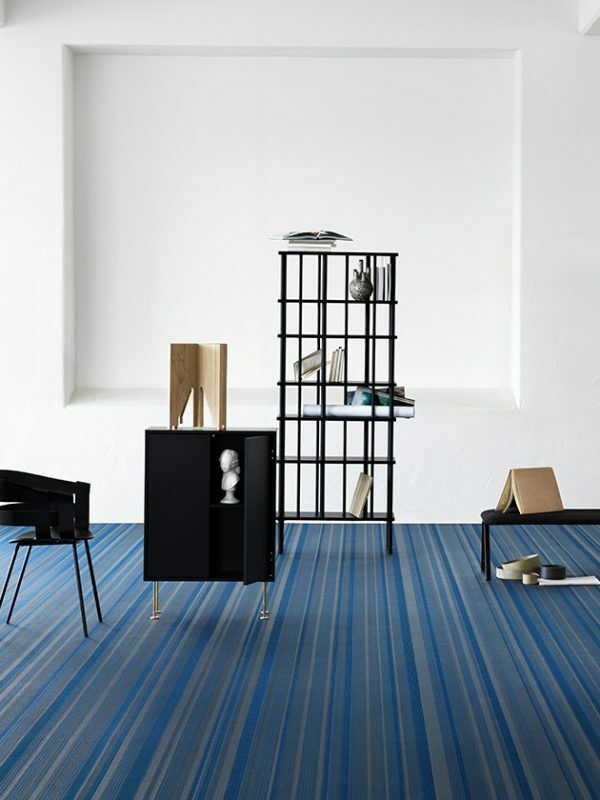 Top designers and architects like Giulio Cappellini from Italy and Jean Nouvel from France create products for the company, which is now based in Ulricehamn, southern Sweden, or use its flatweaves made of vinyl yarn for their own projects. “A lot of our success is due to the fact that we’ve been collaborating with most of the people we work with for many years,” says Annica Eklund. She is Bolon’s managing director, while her sister Marie, who is three years older, is in charge of the creative side. “We believe we can learn something from every single encounter. That attitude to life is part of our DNA: we’re just following the example set by our parents and grandfather.” Bolon sells a unique product that makes a very independent design statement. The special technology involves weaving different-colored warp and weft yarns to form a pattern – an art the Swedes master perfectly. The weft yarns can create glitter or mélange effects, while wool felt or yarns with shiny foils create surfaces with a three-dimensional character. Jean Nouvel loves the floor coverings: “Using Bolon is a bit like choosing the fabric for a suit: it makes you want to look closely and touch it. 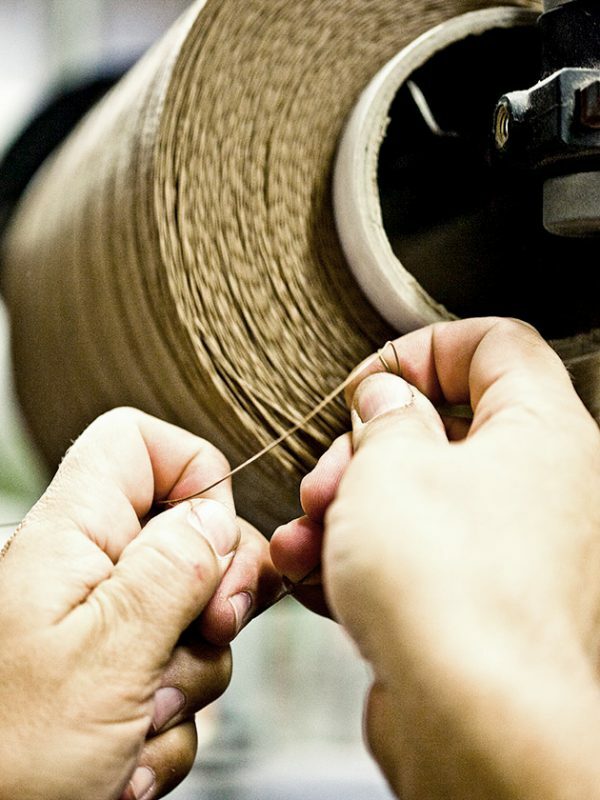 Bolon products have a very tactile quality – such fine weaves aren’t normally used for flooring. But that’s exactly what gives the products their identity.” And that’s not all: the flatweaves are very hardwearing, easy to care for, breathable, water resistant and fast drying. In retrospect, those are precisely the properties that explain the success of the camping mats – and why, today, the woven flooring is used for stores, offices, hotels and ships. Ultimately, vinyl is ideal for any location that needs a hardwearing floor – which is also why, among architects, it is becoming an increasingly popular choice for wellness facilities, hospitals or schools.